At the end of 2016, after four successful years in the Porsche Cup, Jeffrey Schmidt decided it was time to move on. Time for a new direction and the next step in his career. The obvious arena in which to display his talent was GT racing – a new series, new car, new team and a completely new environment. 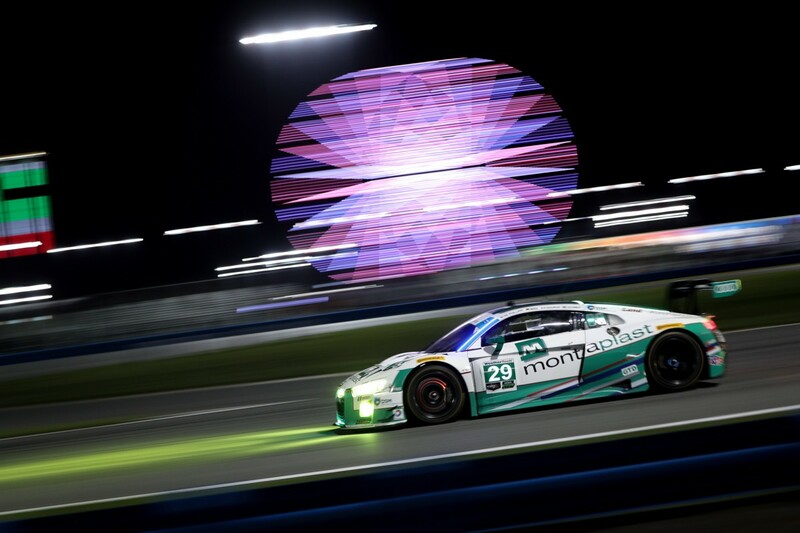 Every new beginning brings with it the opportunity to make your mark, and that is precisely what the Swiss 23-year-old did in the first race of 2017 when he had his baptism of fire sharing an Audi R8 LMS in the legendary 24 Hours of Daytona. Schmidt immediately adapted to his new vehicle, sensationally finishing in second place having a gap of only 0,293 seconds to the race winner. 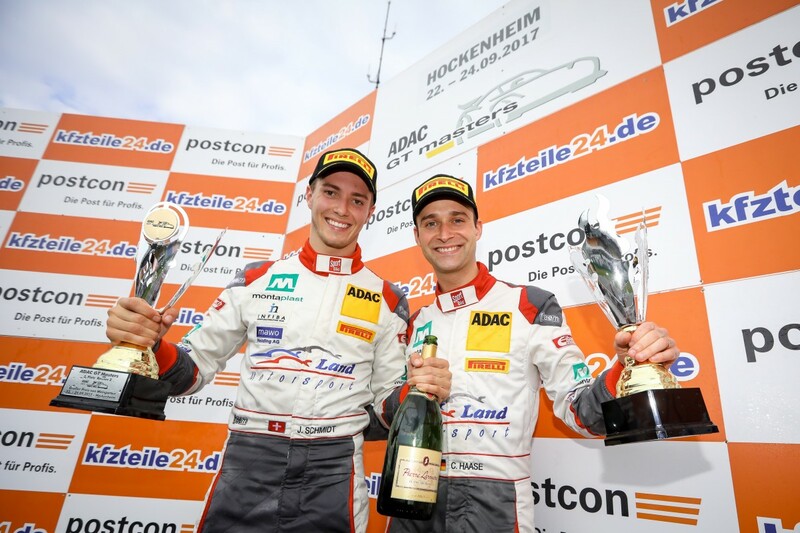 He passed the unofficial initiation test for his new team with flying colours and was deservedly promoted to the Montaplast by Land-Motorsport ADAC GT Masters squad. 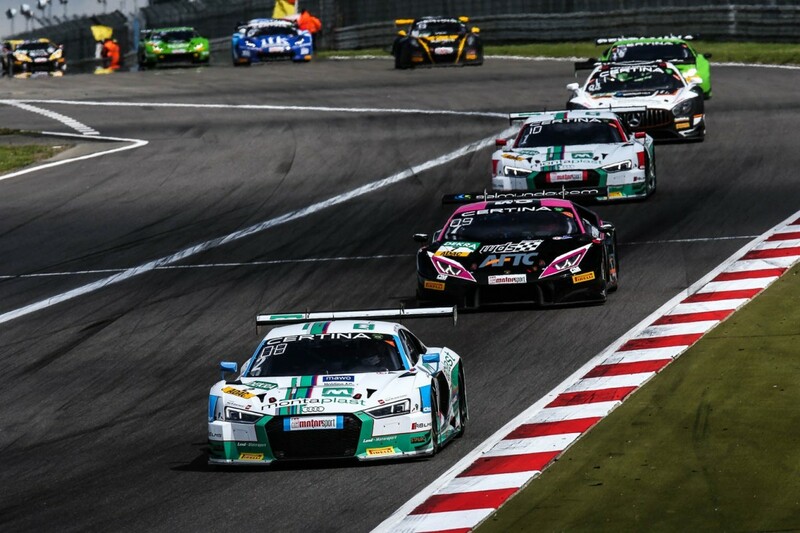 In his debut season in one of the most keenly contested GT racing series in the world, Schmidt and co-driver Christopher Haase were impressive from the very first race weekend. 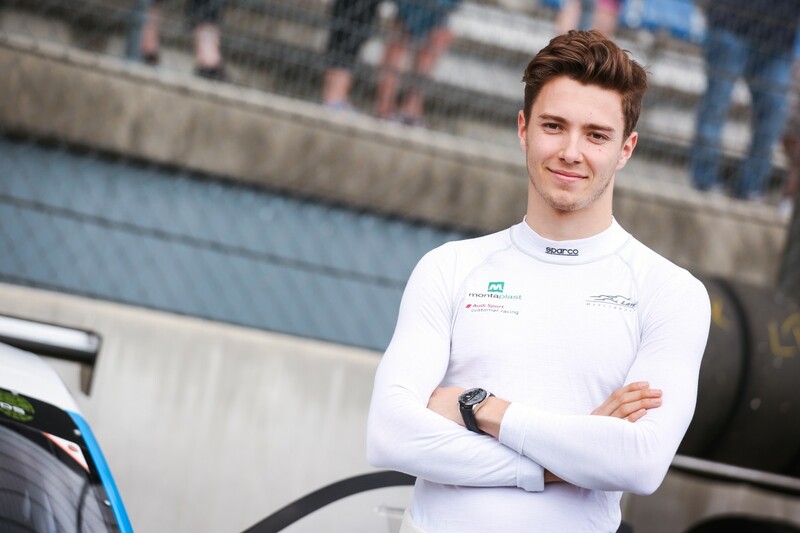 With four podium appearances and four more points-scoring finishes, he ended the 2017 campaign as runner-up in the Junior classification, second only to the outright winner of the drivers’ championship, Jules Gounon. 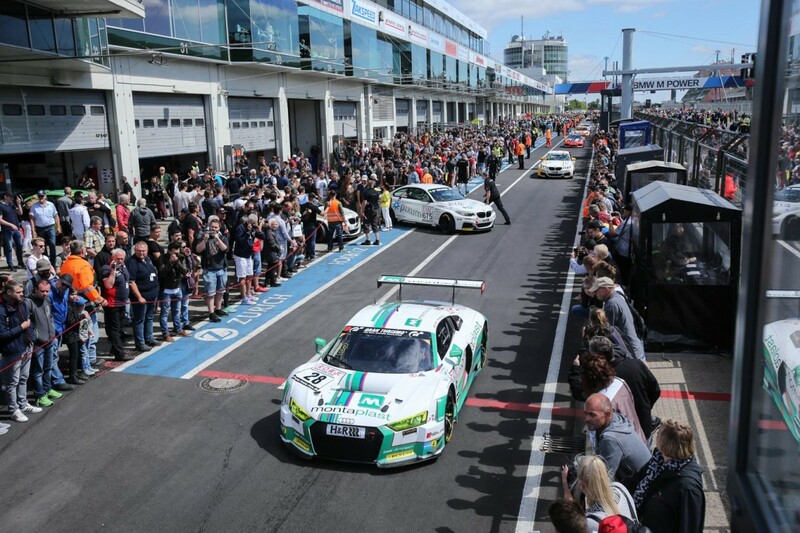 Schmidt also put in an impressive performance for Montaplast by Land-Motorsport in the VLN Endurance Championship on the (in)famous Nürburgring-Nordschleife. This time partnered by Michael Ammermüller, he justified the team’s faith in him by finishing third. Jeffrey, you’ve certainly made your mark in your debut GT season, wouldn’t you agree? I am satisfied with the results achieved by the team and with my own performance. We’ve shown right from the off that we can mix it with the front-runners, whether it’s the ADAC GT Masters, the IMSA or the VLN. The six podium appearances in 16 races speak volumes. Every time we had a problem-free weekend, we were up there with the fastest. However, there were also a number of DNFs of a technical nature which were not our fault. 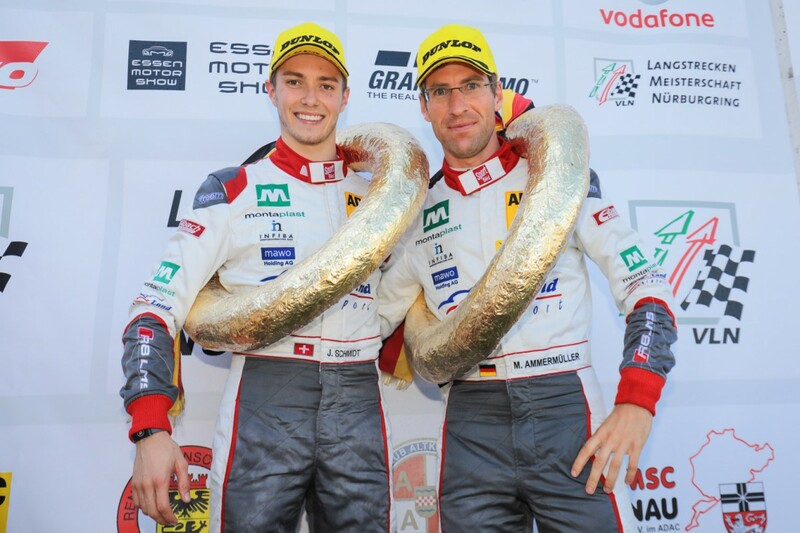 If we had been a bit more fortunate in this respect, Christopher and I would have ended up in the Top Five of the ADAC GT Masters. 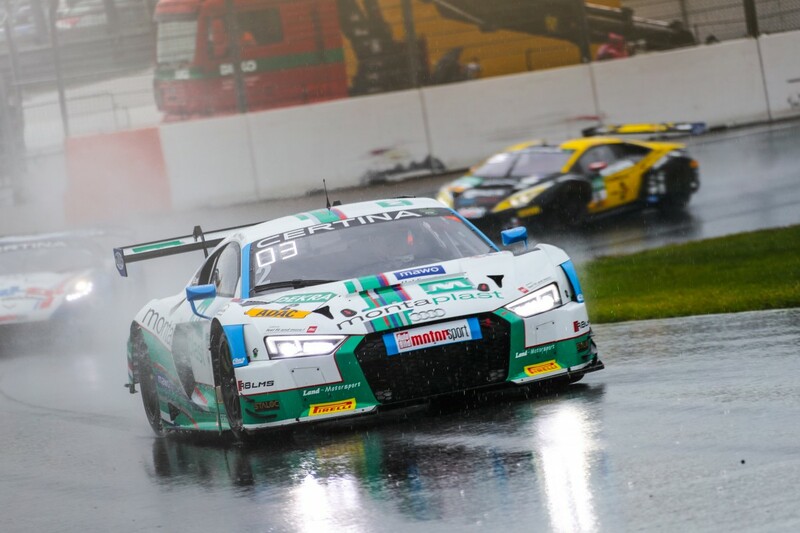 Did adapting from the Porsche 911 GT3 Cup to the Audi R8 LMS cause you any difficulties? Adapting was indeed a big change. I knew all the ins and outs of the Porsche and how the car behaves, even under the most difficult conditions. In terms of handling and power, the Audi is a major step forward. This is a real racing car. The changeover from having the engine in the rear to having it in the middle was a real challenge, because in the Porsche you sit upright, while in the Audi you’re almost lying back. However, I quickly got used to the new car and soon felt just as comfortable at the wheel. It’s such a lot of fun driving the R8 LMS. 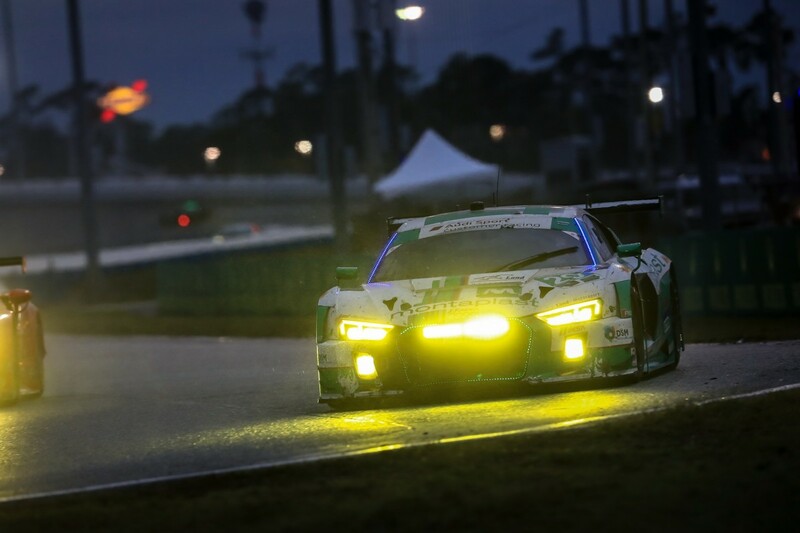 Unlike the Porsche, the Audi R8 LMS has electronic driving aids. How did you get on with that aspect? The Porsche Carrera Cup does not have any driver assistance. There is no traction control and no ABS. That was the reason why I decided to change to this race series after my time in formula cars. For me, this was the right learning environment and the logical next step in improving my skills. In the Audi R8 LMS GT3, electronic driving aids are indeed available, but it’s advantageous if you are able to control the car without them. The feel that I developed in the Porsche brand cup is now serving me in good stead in GT competition. Yes, that was incredible! Making my GT debut in such a prestigious race and only missing out on a sensational win by the narrowest of margins was simply unbelievable. We finished less than three tenths of a second behind the winners. The 24 Hours of Daytona would definitely count as one of the highlights of my year. It is a huge event. My stint was not without excitement: I was driving in rain at night and was one of the fastest in the entire field. It was an experience I will not forget for the rest of my life. And at the same time, the race was a good omen for the season to come. Which of this year’s races stand out in your memory? Essentially, I would describe each and every one of my podium appearances as a high point of the season. 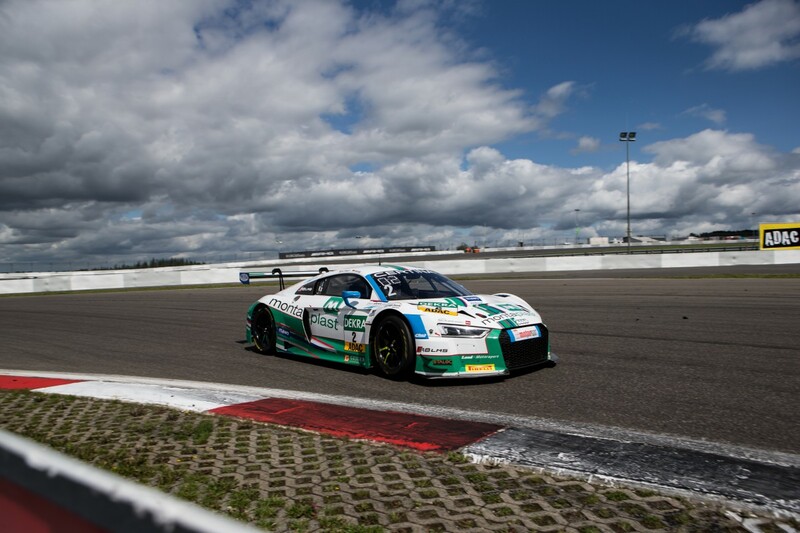 P2 in Daytona, the first Top Three result in the ADAC GT Masters came in the rain-affected race at Zandvoort. Then there were the podiums at the Nürburgring, the Sachsenring and the Hockenheimring – each one was a highlight in itself. 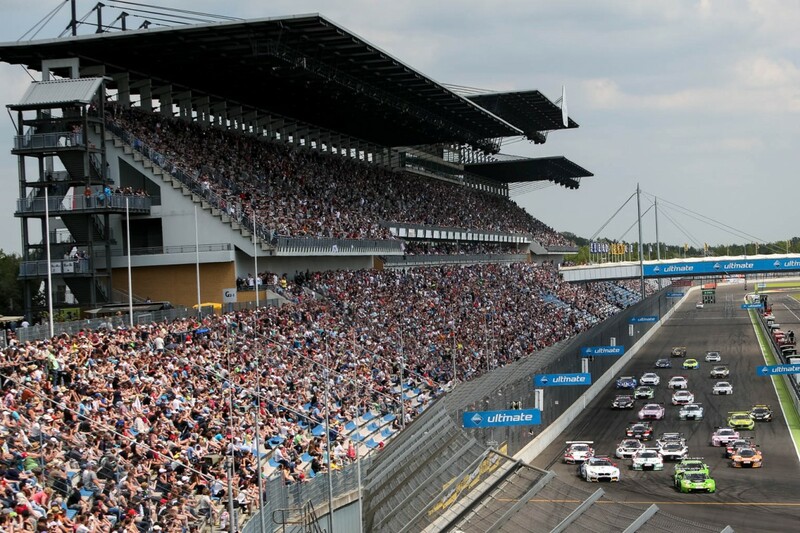 And of course, my third place in the VLN Endurance Championship also counts as a special moment of the year. Going out for the first time on the Nordschleife in a GT car and then crossing the finish line in third place was an indescribable feeling. But it has to be remembered that not a single one of these top results would have been possible without the backing of a strong team. So I would like to say a big ‘thank you’ to Land Motorsport and all the team-mates with whom I shared a cockpit over the year.